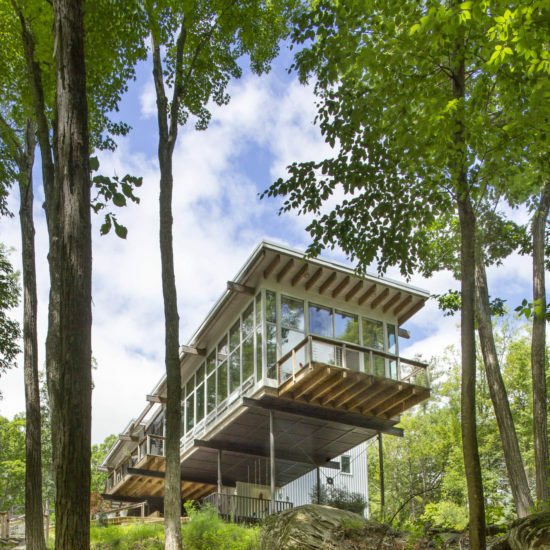 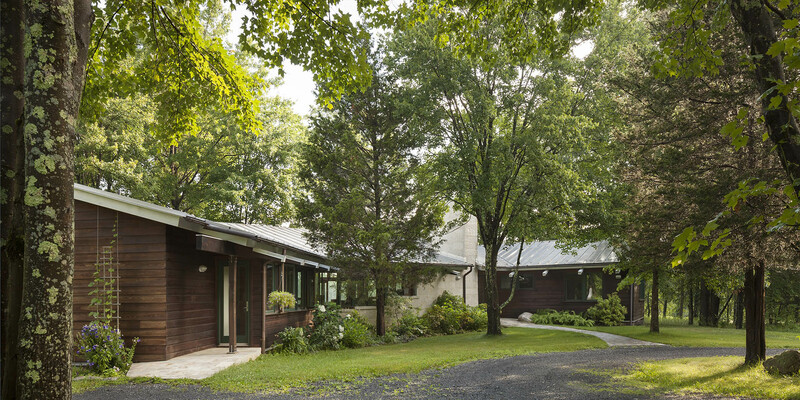 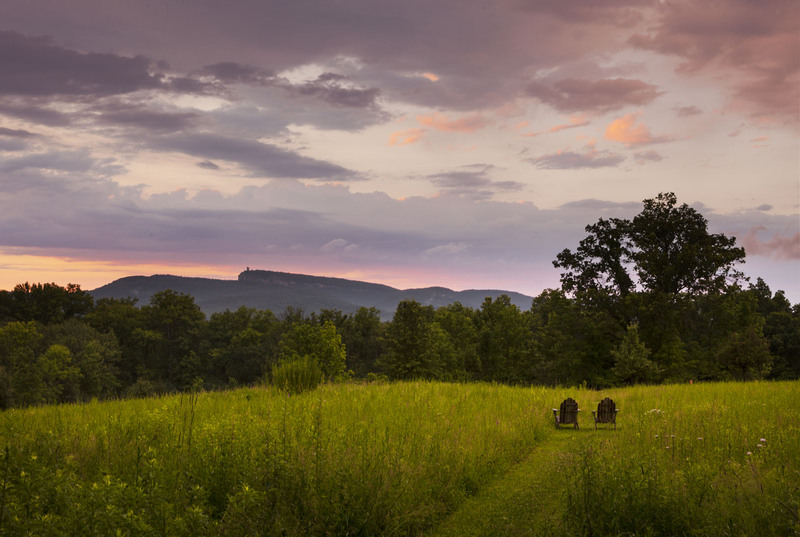 Located in the wooded area on the edge of a broad pasture, the house nestles into its site and frames a spectacular view of the nearby Shawangunk Ridge. 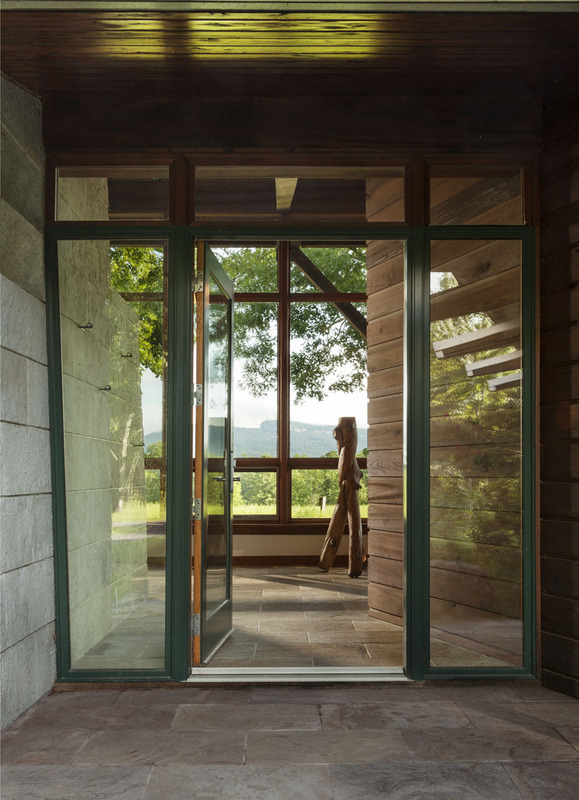 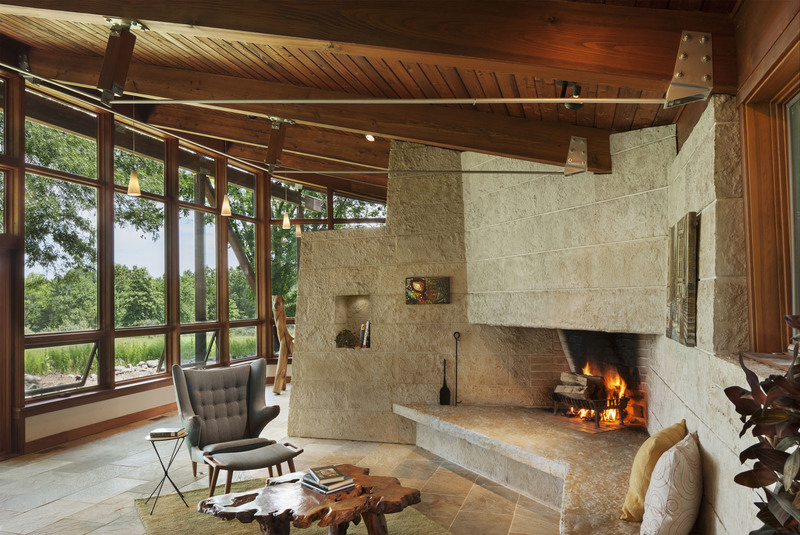 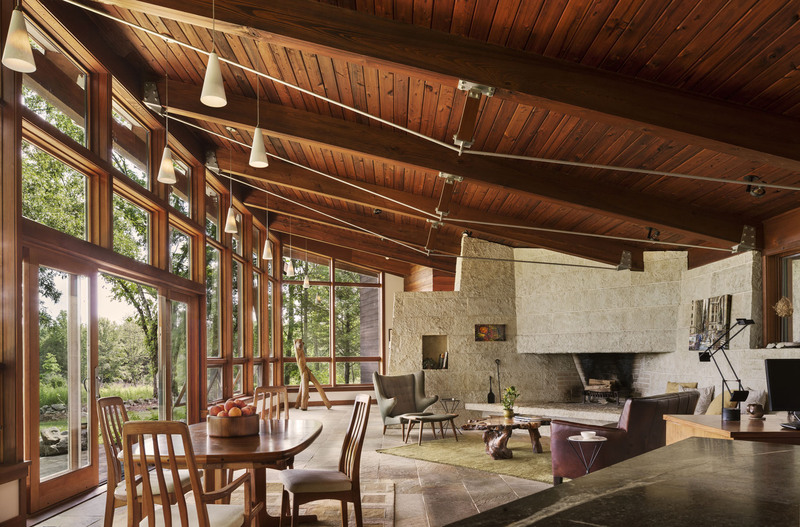 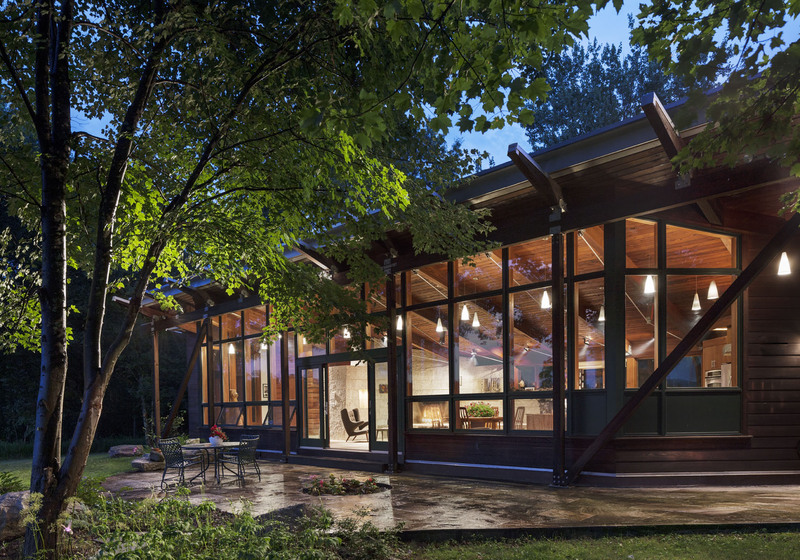 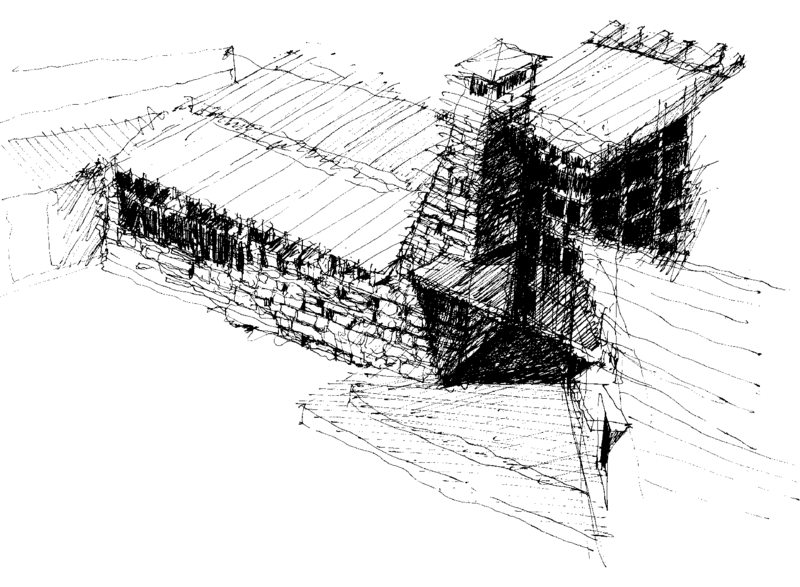 It combines exposed timber framing, stone, and a glass curtain wall. 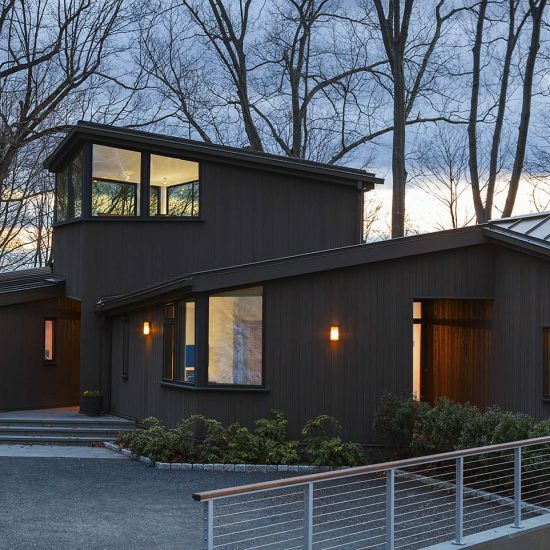 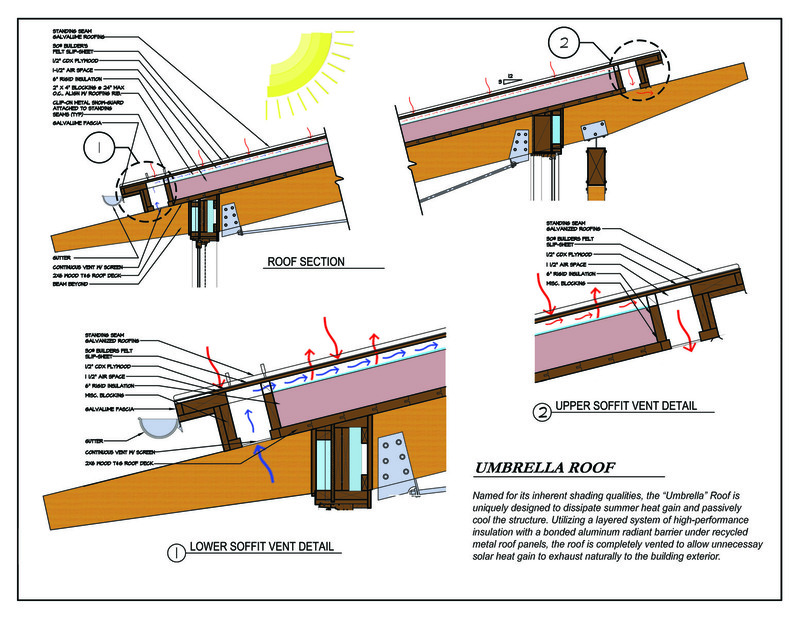 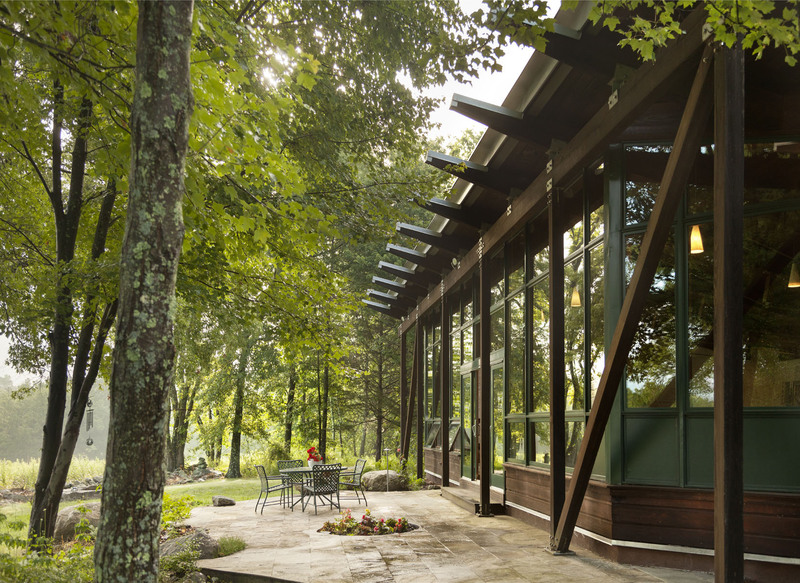 The residence was designed with sustainable building materials and features a wide variety of unique green building technologies.